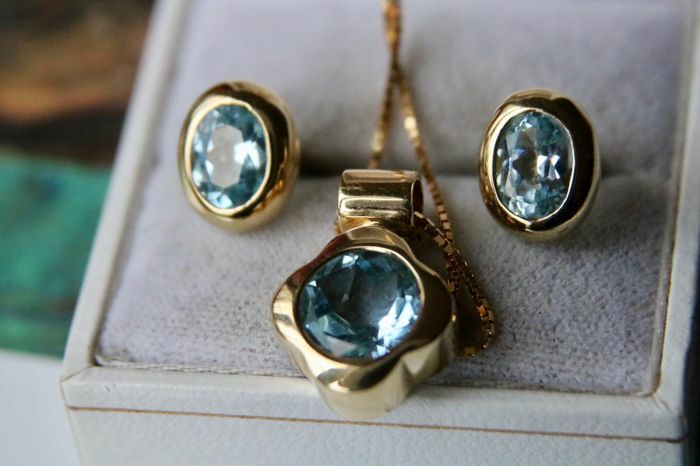 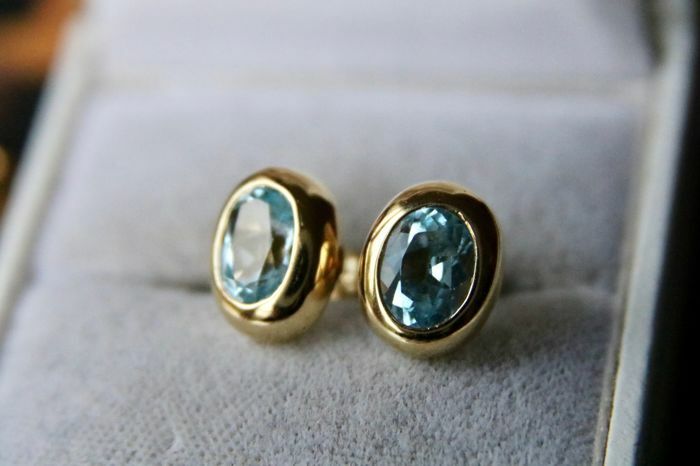 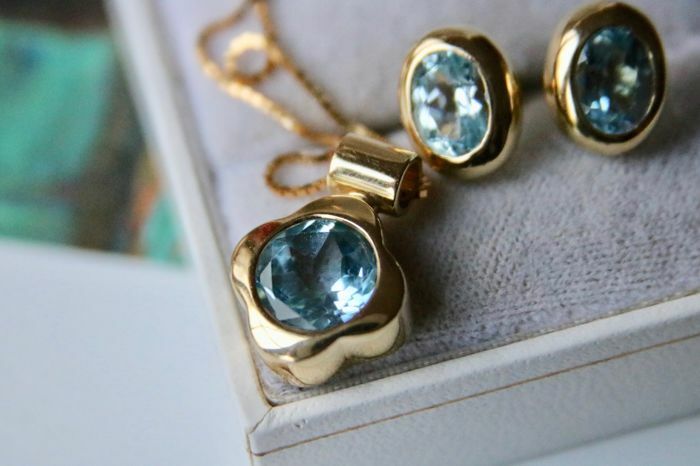 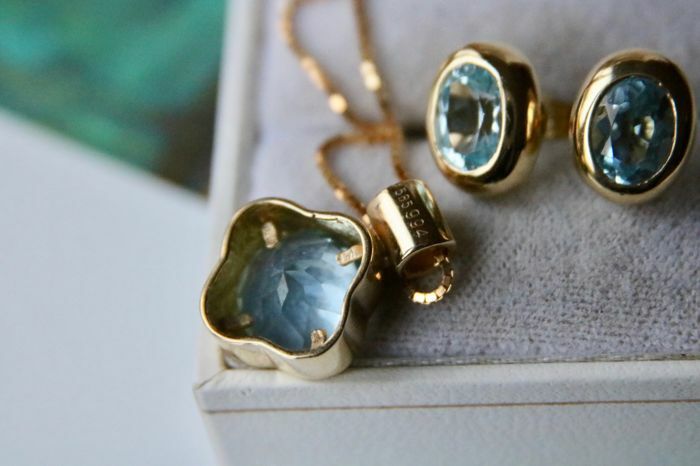 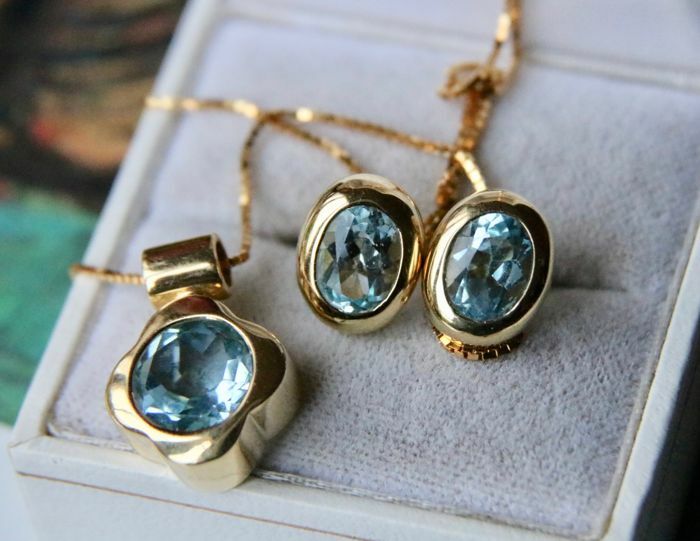 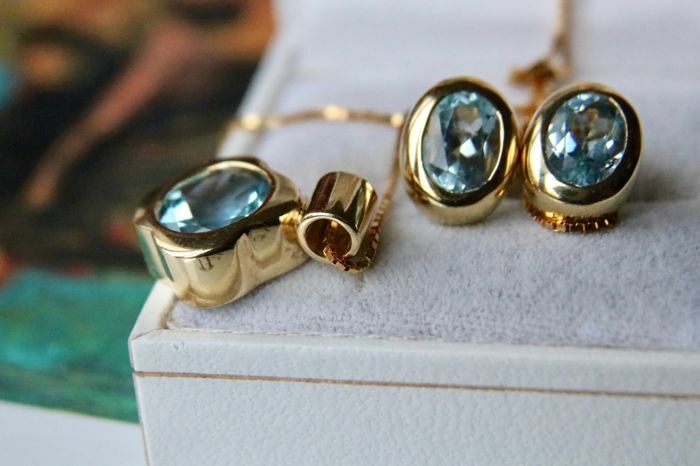 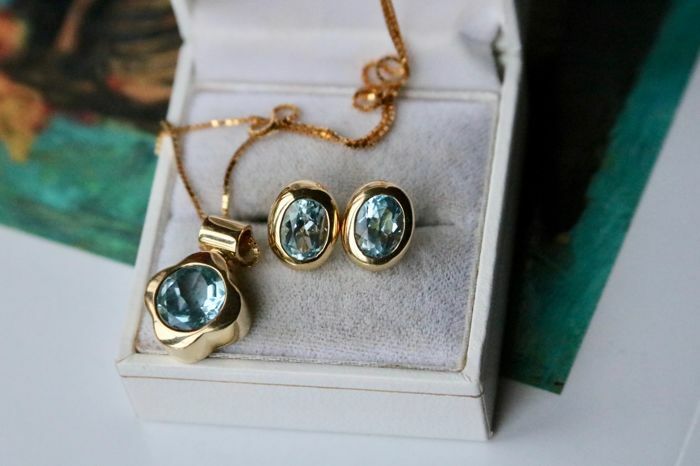 Vintage 14Kt gold set with necklace (44.5cm) & pedant with earrings all set with light blue Topaz for 6,40ct total. 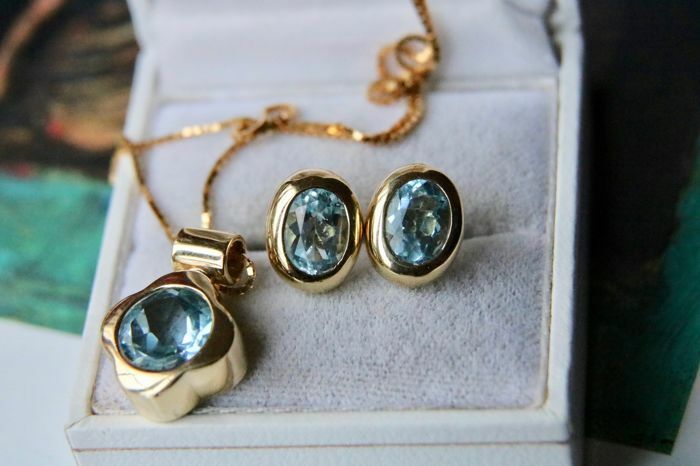 in an excellent condition. 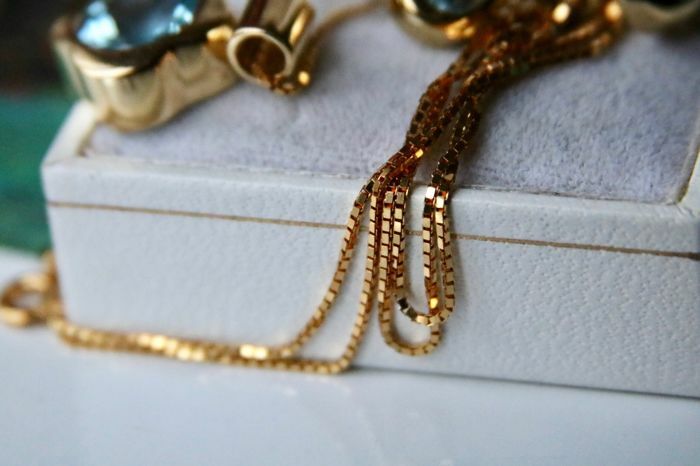 The ear of the pendant is good for 3mm thick, the piece is also numbered and is strongly presumed to be Dutch. 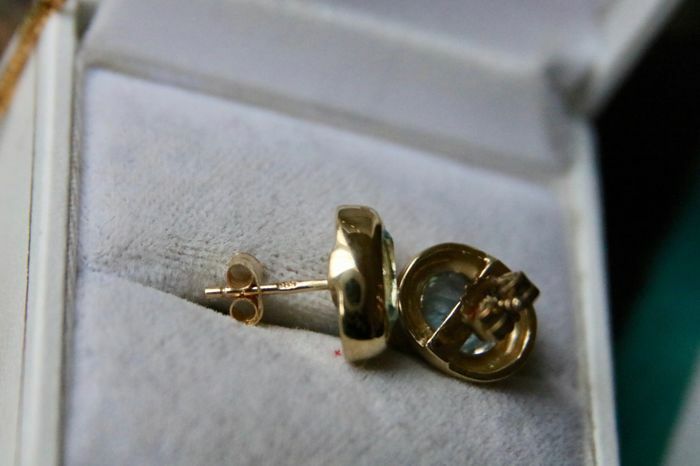 All the pieces are hallmarked 585, including earrings on the pin, but one of the pousettes has been replaced with a 333 gold one. 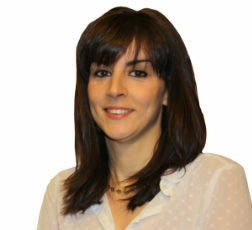 Please make further use of the pictures as they are a part of the description, we took them under natural light a. 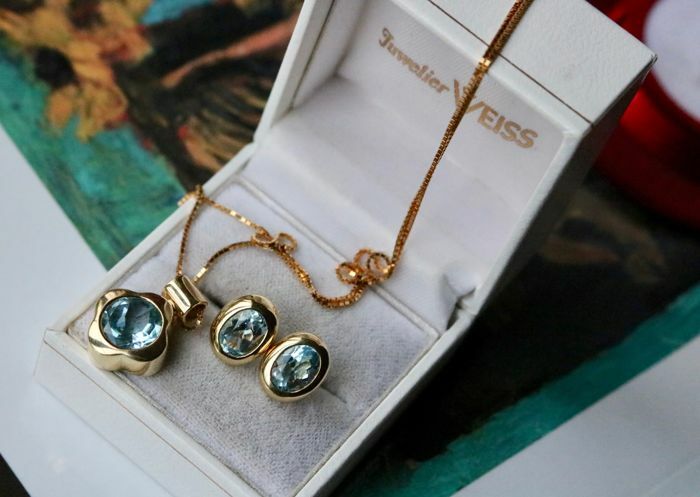 Condition: Excellent condition without any damages of visible signs of wear or damages.